Henderson posed the question that perhaps a “crime germ” infected criminals that “twists man’s brain into queer kinks and causes him to think on the bias . . .” Many of us wonder what these “kinks” are and if they even exist. Henderson asked, “Is this strange quality of beastly perversion inherent in some individuals?” Henderson did have his theories and he also discussed how different criminals ranked on the “respect chart” at Folsom and San Quentin. Blood Hunger: Like a disease, this is much like a drug habit. The first kill is always the hardest, but it almost always yields a thirst for more. The addiction takes hold and the one-time killer now murders wantonly and even joyfully. All in the Family: The apple may not fall far from the tree. This made itself apparent in the case of Lloyd Majors and his two sons. The elder Majors hanged for a brutal murder in the late 1800s, when his sons were babies. As the boys grew, they too, became murderous bandits. Lure of the Desperado: Henderson opined that train bandits and stage coach robbers suffered from the “love of adventure” kink. Many of these criminals started out as daring highwaymen for the thrill and excitement; murder, being the last thing on their minds. However, after having to shoot to save themselves from capture they gradually turn into killers. “There have been many instances where the highway robber had displayed chivalry and generosity. The same energy directed into legitimate channels would undoubtedly make the courageous thug a leading citizen,” wrote Henderson. 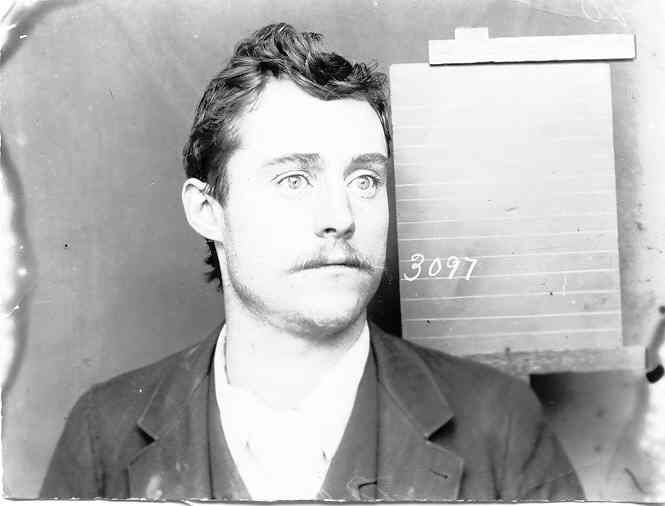 George Sontag, famous murdering desperado of the 1880s who participated in Folsom’s first mass escape attempt in 1893, only to be wounded by gun fire from guards. Embezzlers and Forgers were shunned. 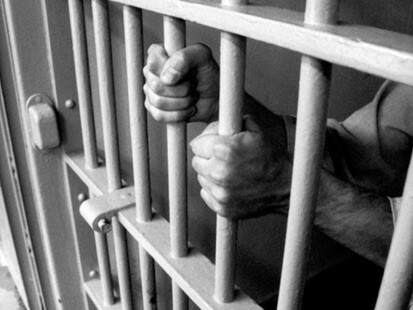 “Fine threads of gold and silver bind the “kink” in the embezzler’s brain.” Fellow prisoners shunned this type of criminal for their lack of courage to wield a gun or engage their victim in a battle. Burglars: This type of criminal earned little respect among his prison peers, “because it requires much less courage to burglarize a place than it does to hold up a man at the point of a gun on the street.” Burglars ranged from the casual tramp to the accomplished crook or drug addict. Henderson listed what he felt constituted “crime germs”: Laziness, Greed, Ignorance, Uncleanliness, Selfishness, Drunkenness, Depravity, Idleness, False Pride, Lust, Envy, and Drug Addiction. His “anti-toxins” consisted of Industry, Generosity, Knowledge, Cleanliness, Unselfishness, Sobriety, Purity, Employment, Humility, Spirituality, Fellowship, and Character. In 1921, Folsom prison housed each of the above-described criminals. Today, you won’t find the highway men or stage coach robbers at the 130 year old prison. Much different classes make up the prison now, particularly gang factions that include the Mexican Mafia, the Nuestra Familia, and the Black Guerrilla Family. Two white gangs also contribute to the mayhem: the Aryan Brotherhood and Nazi Low Riders. Oh, and did I mention the Chinese gangs? The criminals of Henderson’s time may have changed, but his crime germs and anti-toxins could arguably still exist. Categories: Folsom History | Tags: crime, embezzlers, Folsom history, forgers, murderers, poisoners, writing | Permalink.